For Episode #44, Archispeak does some followup on several listener calls and comments from prior episodes. We then spend the remainder of the show on another listener suggested topic (see, we do listen so keep calling in) and put on our "Preservation Pants" and tackle the Louis Cherry designed Oakwood Modern Home controversy. Also, we are happy to announce that the Missing 32% Project, Equity by Design 10/18/14, which Archispeak will attend, is sold out! If you're attending the event, please make sure to introduce yourself and maybe you too can be on the show. The show is entirely supported by us and our listeners! Your generous donations keep the show going by paying for all the infrastructure it takes to make it possible. Become a “Friend of the Show” by donating at least $5 and you will get your name read on the next episode. We truly thank you for your support! We couldn’t do it without you. 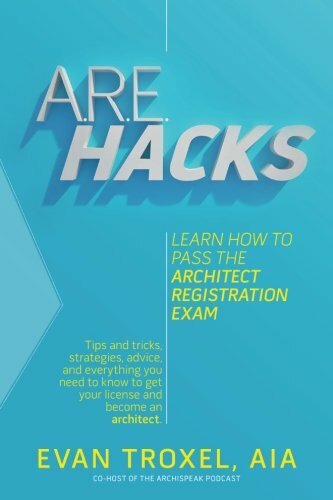 Another way you can support the show and help yourself pass the ARE is by visiting our “Pass the Architect’s Registration Exam” page. For those of you not yet licensed, here's an affordable set of study tools to help you conquer the ARE's. David's study guides are proven to get you passing the exams. How do we know? Our listeners have told us! Archispeak #39 - Srsly Millennials? River Pools - Welcome to Inground Pool 101! TRXL - I MAKE THINGS, SOLVE PROBLEMS THROUGH DESIGN, AND TEACH EVERYTHING I KNOW.